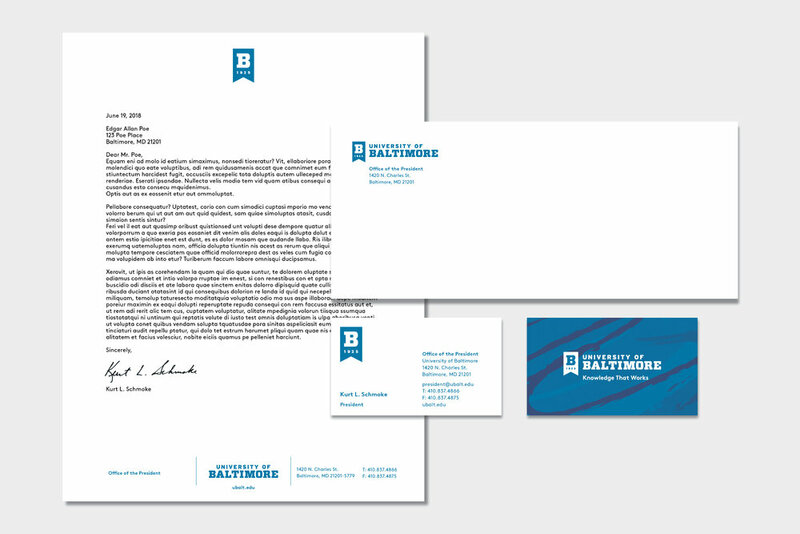 An accordion mailing piece that highlights UB’s accolades and showcases sights around Baltimore City. The Maryland Holstein Annual is a publication produced the beginning of each year to announce awards winners, show results, and highlights from the past year. The publication is sent out to the members of the Maryland Holstein Association. This year was the second year that I was solely responsible for designing and editing the booklet. I was in charge a collecting advertisements from farmers and businesses to cover the printing cost. Below are page examples from the 2019 and 2018 booklet. With the university wide rebrand, one of the elements that needed to be updated by our office was the official stationery. I was tasked with developing the new stationery that is used campus wide for communications. I created the design from scratch using the new elements of our logo and brand identity. Below you will see the final version that I developed for the letterhead, envelope, and business cards. 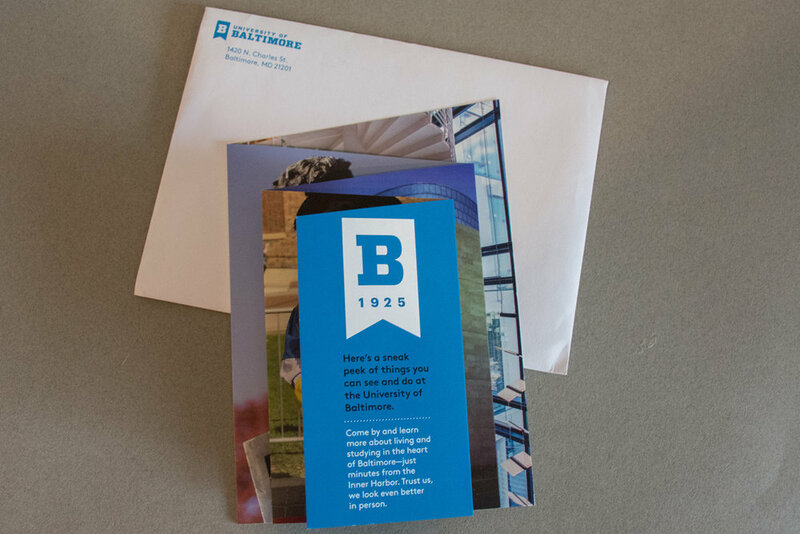 This freshmen brochure belongs to a four piece collection of audience-specific brochures (Freshmen, Transfer, Graduate, and International students) that we were developed for the Office of Admission. It was a collaborative project between myself and my colleagues. We each had the responsibility of designing one of the audience brochures as part of a cohesive collection of materials. We worked together to develop a template for the brochures. I then took the lead on developing the freshman brochure. Direct mail marketing postcard to attract clients to schedule a wellness exam visit for their pet(s).